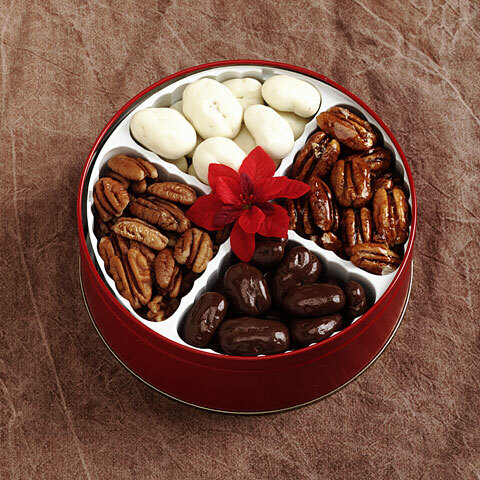 Chocolate Pecans,Glazed Pecans,White Chocolate Pecans and Roasted Salted Pecans. Net Wt. 28 OZ CAN NOT SHIP IF TEMPERATURES ARE ABOVE 75 DEGREES.